The most common layouts for Application Links are displayed here. A bi-directional arrow indicates communication in both directions, while an omni-directional arrow indicates communication in a single direction. 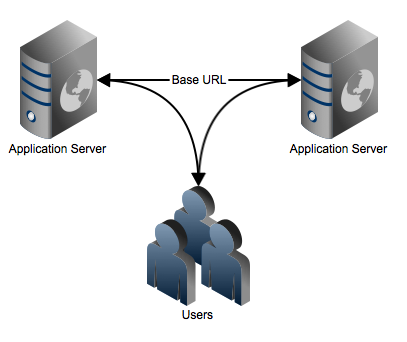 In this scenario, the Application Link uses the Base URL of each application as both the Application and Display URL. Communication is sent directly between the two servers. Here, each application sits behind a reverse proxy. As before, the Application Link uses the Base URL for connectivity. 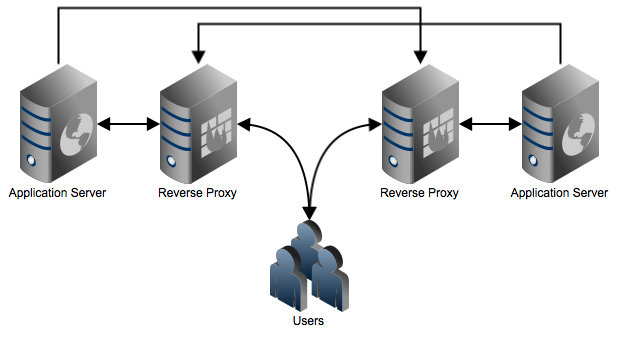 In this scenario, all traffic will be passed to the reverse proxy before making it to the application server. This scenario makes use of an unproxied connector which is then referenced in an unproxied Application Link. 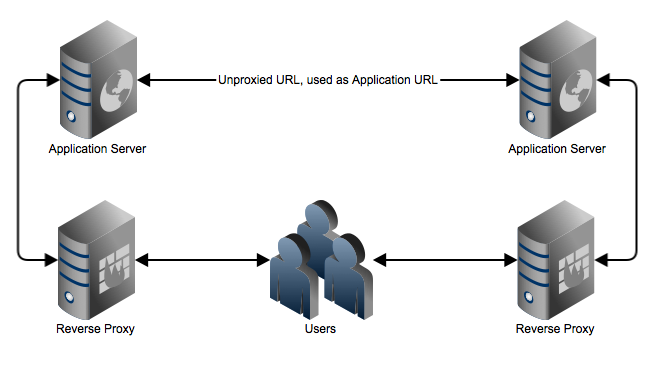 The Display URL will be set to the Base URL for each application, however the Application URL will reference the unproxied connection. Traffic sent between the two applications will not go across the reverse proxy.